It is a high-protein bar that can be considered as a supplement to your daily intake of protein and węglowodanów.Poza high nutritional value will be savored an excellent taste! 7 loyalty points Your cart will total 7 points that can be converted into a voucher of 0,28 PLN. This is a high protein bar, which can be regarded as a supplement to the daily intake of protein and carbohydrate. In addition to high nutritional value you will be savored an excellent taste! 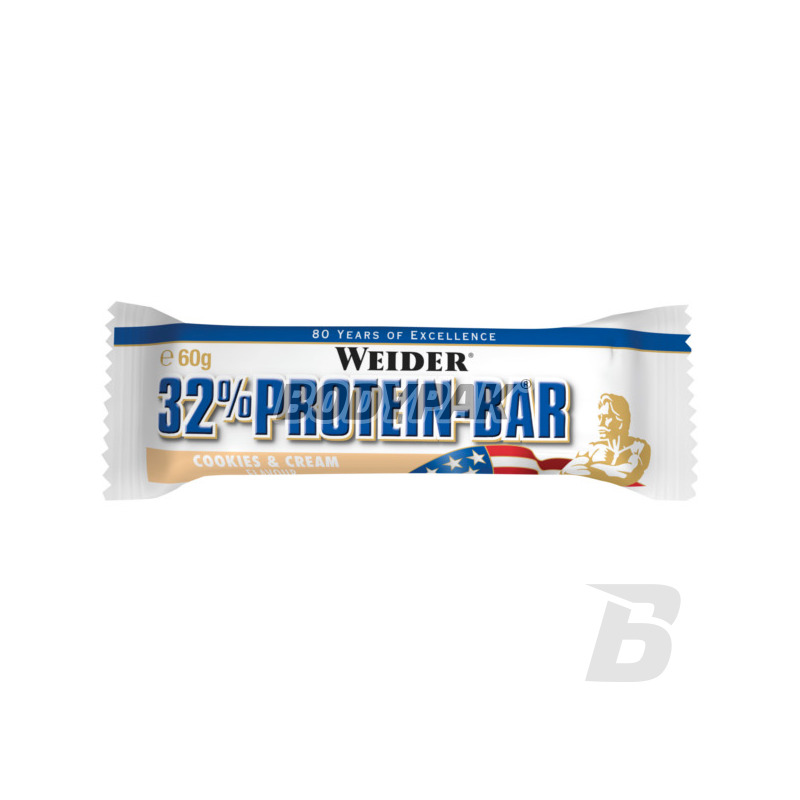 Weider 32% Protein Bar, which can be considered as a supplement to your daily intake of protein and carbohydrates. 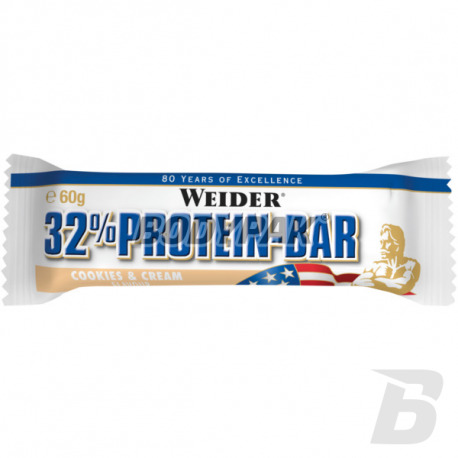 In contrast to conventional bars, bar Weider protein gives a high protein content but with little fat. The normal bar contains 16g of fat per 60 gram, while 32% Weider protein bar has a ratio of only 6g of fat to 60g. Może zawierać gluten, orzechy, orzechy ziemne. Dla mnie to jeden z najlepszych skladowo i smakowo batonów proteinowych na rynku w tej cenie.Polecam. Mi smakuje, skład jest dobry. Newest baton by Olympus, the taste of which outshines the usual chocolate bars! It has a very high protein content as high as 36%. It contains additives such as peanut butter, coconut or caramel (depending on the version of the taste). Each bite delivers an immersive and provides valuable nutrients! Energy bar Nutrend adds quickly and easily digestible energy, rebuild energy reserves, helps to overcome the energy crisis. Baton sport that is not only sensational taste but also by the rich additives (such as guarana and ginseng) provides a stimulating and mobilizing for action! It contains a large dose of magnesium and vitamins of group B.